We offer custom design as well as the ability to work across most web platforms for you. Most of our sites are built on WordPress for your convenience and ease of use. We work with all IDX providers to help you keep costs down for your real estate website. We provide integration, education and assistance with this crucial component of your content management system. Creating content for your real estate site is a critical component of off-page SEO. We offer both "on-page" and "off-page" SEO services to grow your online audience via your blog, Facebook, Twitter and press releases. Content is KING and Google will reward you for providing fresh information on your site. One thing that we have learned in our 20-plus years of real estate web design is that most REALTORS® do not have the time or desire to manage their websites. Technology evolves at a breakneck pace as does the real estate market. That's where we come in. We have affordable options available that include the management, upkeep and administration of your website. We also provide our clients with the ability to login and make changes to their site 24/7/365. Our service to you is unparalleled in the market. We know you want to work on selling/buying homes for your clients not manage a website. We still do it for less than you pay those other companies to do it yourself. We offer free consultations for new clients that include your target markets by geography and specialty as well as helpful resources to help you ascend the search engine result pages. 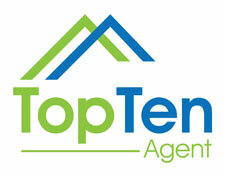 We will work with you to get your real estate website in the TOP TEN for your intended markets.